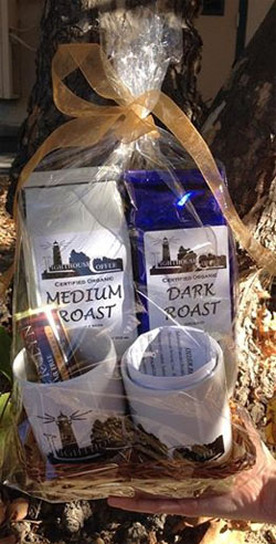 LIGHTHOUSE has launched its own brand of coffee and is selling gift baskets. 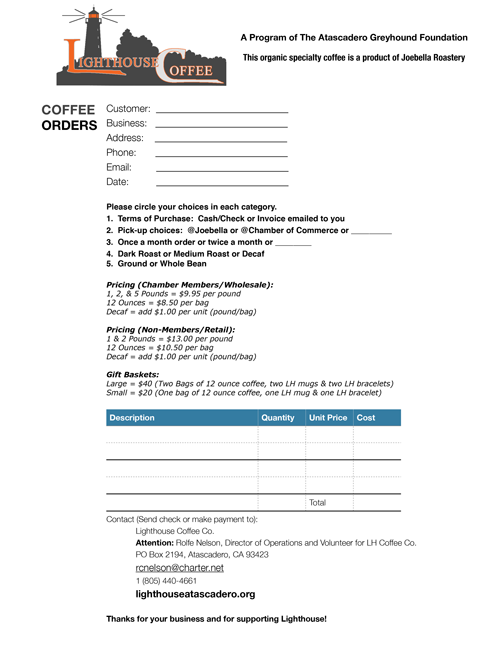 LIGHTHOUSE coffee continues to thrive as a sustainable business with proceeds benefitting programs for our local youth facing problems with addiction. The coffee is being released in partnership with local gourmet coffee company JoeBella Coffee Roasters, known for supporting community causes local youth organizations. Together, we are making a difference that can be seen, and our upcoming Reality Tour is a great way to experience what the LIGHTHOUSE is bringing to Atascadero. Need to order by mail?